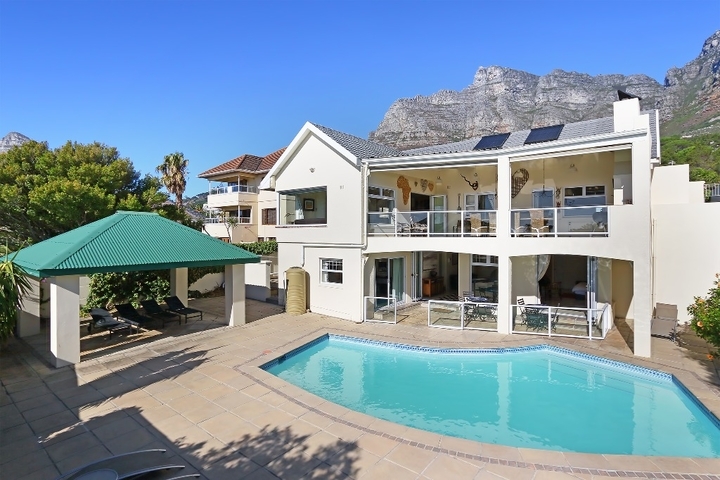 This Christmas, holiday rentals in the Mother City are filling up with troops of holidaymakers. You and your friends can join them, for the ultimate in festive fun this side of the sunny equator! 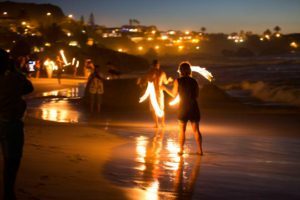 Are you looking for a special Cape Town vacation spot to accommodate a large family or group of friends? The list below features 10 excellent self-catering villas for 6 or more guests. These ample villas have plenty of space and privacy, so you’ll have no problems crowding each other during this stressful season. Plus, they’re designed to make entertaining an art over Christmas. 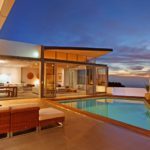 Holiday rentals on this list come with plenty of fun extras, from pools to Jacuzzis and even private cinemas. 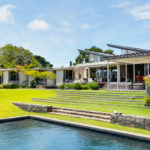 Your Cape Town Christmas parties are sure to become the stuff of legend when you host in one of these grand vacation villas. Gather your closest friends and family together for an unforgettable festive experience! With peak season approaching, it’s time to start asking “Where can I find Christmas holiday rentals in Cape Town?” First on our list is a Green Point gem with superior skyline views. Residence Penthouse has 3 bedrooms and sleeps 6. 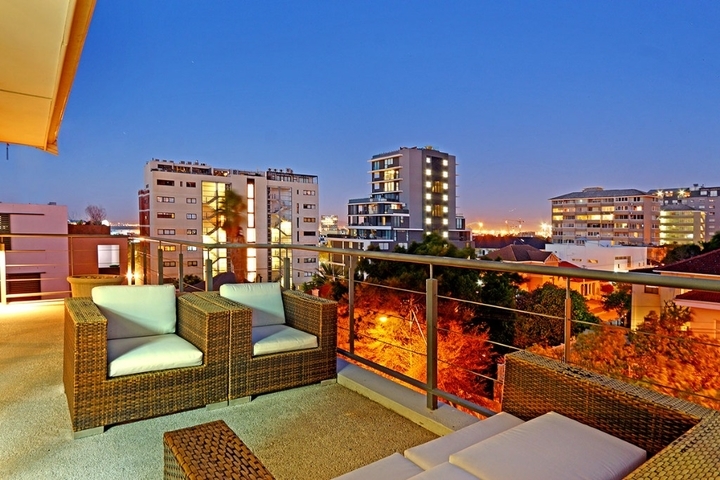 Residence Penthouse is one of the city’s premium Christmas holiday rentals, situated close to attractions like Green Point Stadium and the promenade. 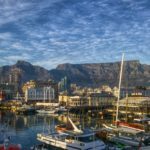 It’s great for those who want to be close to the buzz of Cape Town city life. The desirable Green Point location is also sure to appeal to shoppers, who take advantage of the world-class boutiques and designer brands at the V&A Waterfront. (For more inspiring CT shopping destinations, check out Suzanna Rose’s list of hotspots here). The bedrooms can all be found on the entrance level of the penthouse. The top floor lounge features large windows that give you a great view of the city, the harbour and Table Mountain. The self-catering kitchen is fully equipped for your convenience, and there is a large deck area for entertaining. 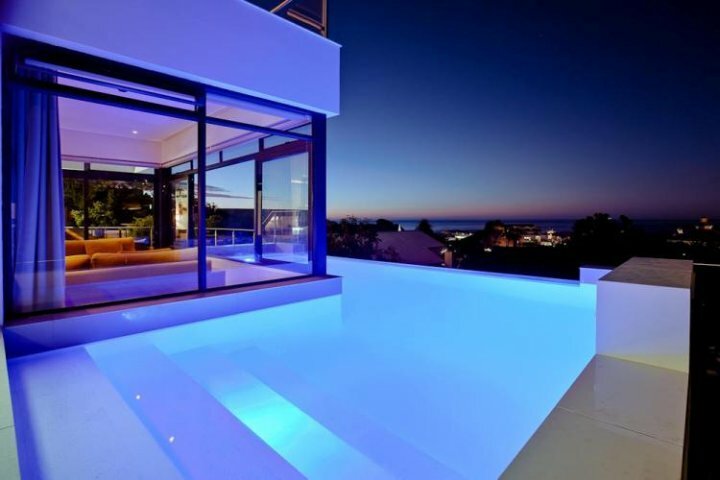 Residence Penthouse also has a sparkling pool, ideal for a refreshing dip. 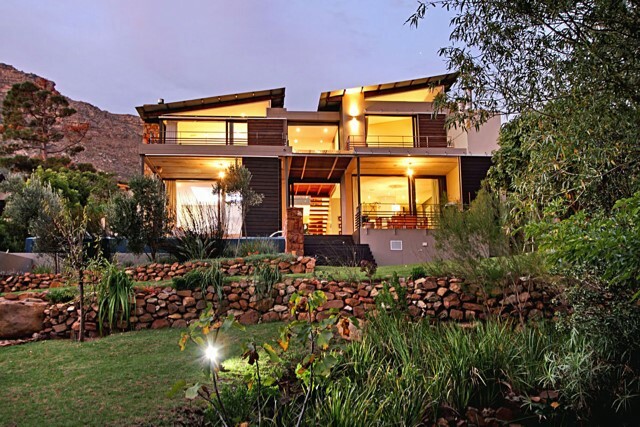 Hout Bay’s Mountain Stream Villa has 4 spacious bedrooms, and sleeps 8 guests. This Christmas, holiday rentals like Mountain Stream Villa will help you wile away your troubles in VIP luxury, where being close to nature is just a step out of your front door. This prize property features a full home automation system to keep you safe and reduce your season workload. There’s also a deluxe rim-flow pool and an expansive entertainment area. The elegant contemporary building was designed by Arthur Quinton Architects, and gives you a modern holiday home in a lush mountain setting. The irrigated garden is a haven for nature walkers, with a mountain stream running through the property – something that becomes a focal point when you stay there. 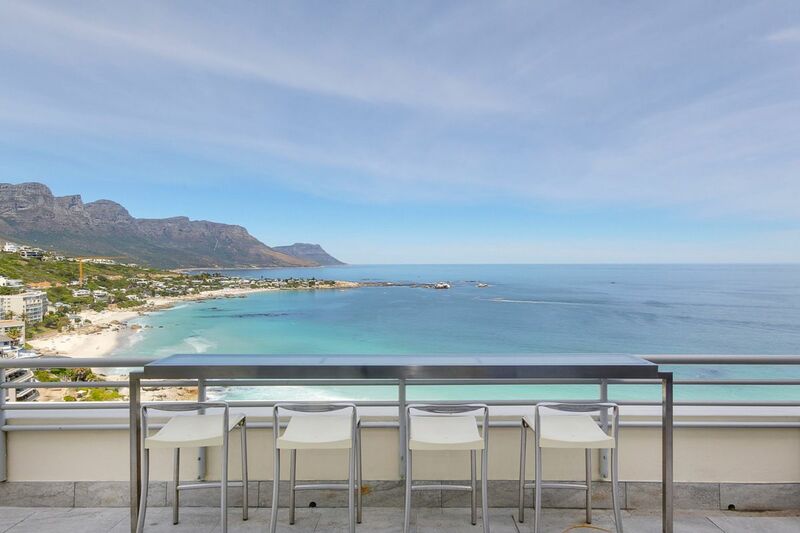 Clifton Penthouse includes 3 bedrooms and accommodates 6 people. 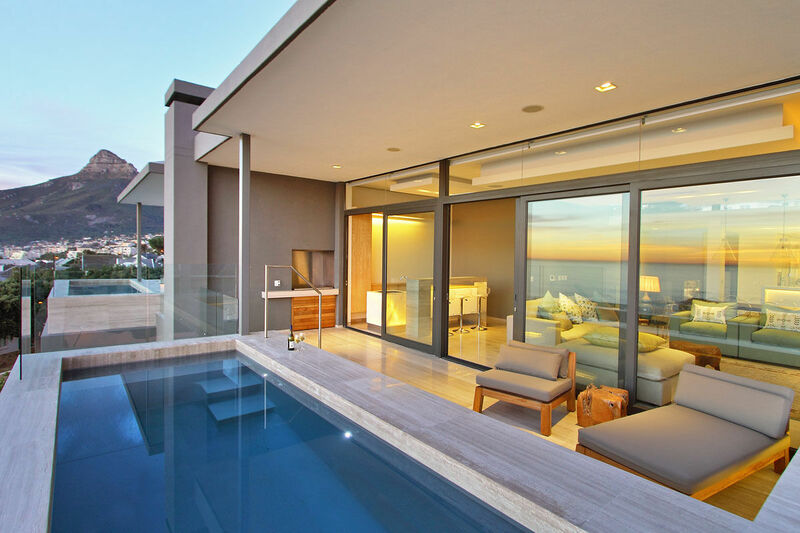 This is a secure luxury apartment with a picture-perfect Clifton beach view. Entertain a few of your favourite people on the terrace, with a bottle of Cape wine and access to your own private Jacuzzi. What a perfect place to toast your festive holiday getaway! The Merridew villa has 6 bedrooms and sleeps 12. Camps Bay’s Merridew villa is all about easy vacation living, with open-plan spaces flowing into outdoor entertainment areas. 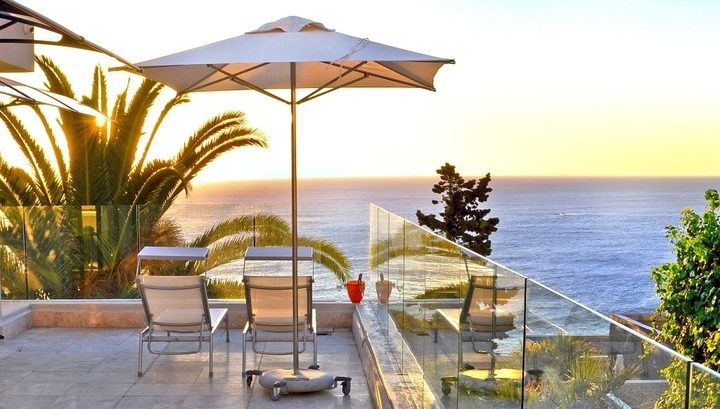 It’s one of Camps Bay’s most treasured Christmas holiday rentals. Upstairs, glass doors open onto a covered balcony, where your friends can watch the sun sink into the ocean over Reindeer-themed cocktails. The lower level features an intimate lounge area and a family-size swimming pool. Merridew is walking distance from the bustling boulevard, which is packed with chic restaurants and bars, in case you don’t want to cook over Christmas. Sandy Bay Villa has 4 bedrooms and can easily accommodate a group of 8. Everyone will be able to appreciate the wrap-around sea and mountain views from Sandy Bay Villa. This holiday paradise is right at the edge of Llandudno beach, a secluded cove known for its exclusivity and serenity. All bedrooms at Sandy Bay Villa open onto the patio, so every guest can greet Christmas morning and the New Year with impeccable views. This is one of the few Christmas holiday rentals that will allow you to mingle with Llandudno’s trendy in-crowd. La Costa Maya is a 4 bedroom villa that accommodates up to 8 people. Your family and friends will feel right at home in this luxury vacation rental. 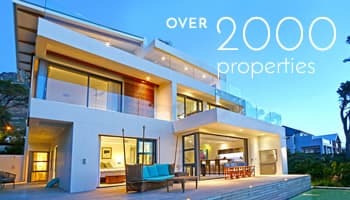 La Costa Maya is a stylish semi-detached property situated in one of Camps Bay’s quieter side streets. The building features a generous double garage, with lift access directly into the villa. The first 3 bedrooms are found on the ground floor, while a glass floating stairway leads to the upper level and the 4th bedroom. Guests can enjoy sea views from the balcony, which features a private swimming pool and a gas barbeque. 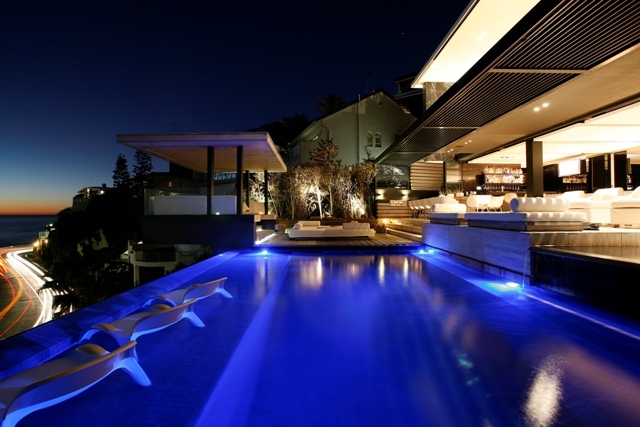 The affluent Camps Bay area is where many international stars hang out. Over Christmas, holiday rentals in the area become home to a host of celebrities and top business tycoons – so you’ll have a few famous neighbours! Villa Central has 5 bedrooms and sleeps 10. This unique holiday home is packed with extravagant features that will make you and your crew feel like real celebrities. Think glamorous glass and white leather décor, with state-of-the-art electronics. The Villa Central property is controlled by cutting-edge remote technology, so you can adjust everything to your liking at the push of a button. It’s an expansive 3 storey property, with every level accessible via a stylish glass lift. Outside the villa is a separate al-fresco dining patio, and a wrap-around salt water infinity pool. There are few Christmas holiday rentals that cram so much luxury into one space! The Sea Views Luxury villa can accommodate up to 14 guests. Escape to Sea Views Luxury for a truly sublime experience. The property features pergolas and a yin-yang shaped Zen garden, as well as a Jacuzzi and a heated rim-flow pool. This is one of the city’s most picturesque Christmas holiday rentals. 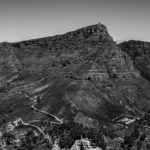 The gorgeous coastal views encompass Robben Island, the Twelve Apostles, and Lion’s Head. Stefilia Villa is a 4 bedroom property that sleeps 8. Stefilia combines the luxury of hotel living with the comfort of home. All 4 bedrooms feature sea views and en-suite bathrooms. There is a daily housekeeping service, and a selection of concierge services as well. If you fancy a stylish celebration with local flavour, check out one of the Mother City’s top watering holes for a draft or cocktail. A few flashy venues in the city bowl have been named among Cape Town’s 5 best bars. We recommend the Cape Town Club on Queen Victoria Street or The Beerhouse on Long. New Wonders offers 5 bedrooms and space for 10 people. New Wonders is one of our favourite Christmas holiday rentals. Set between Clifton and Bantry Bay, it gives you and your entourage ample opportunity to rub shoulders with Cape Town’s elite. This extravagant holiday home includes its own private cinema, library and wine cellar. The fun will keep on flowing as you celebrate the festive season with your closest friends! Other luxury features include designer furnishings, indoor water features and a heated glass rim-flow pool. If you’re looking to experience a glamorous group getaway, choose one of these in-demand grand villas and make it your holiday home, for a festive season unlike any other. 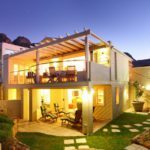 Cape Town’s Christmas holiday rentals are designed to cater to your every need, so you and your guests can make the most of the festive season. How many friends of yours are visiting Cape Town? Check out Capsol’s latest luxury villas here, to find the perfect fit for your group.